Deadline extended to Oct. 24th, last chance to send in your photos! As some of you might know, this year’s Mt. Pisgah Arboretum Mushroom Festival will be the 30th! The Cascade Mycological Society has been a big part of this festival from the beginning and we are excited to be bringing a number of special events and activities to celebrate. The first of these we are proud to announce is a mushroom photography contest. 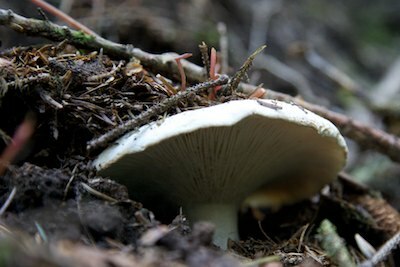 Any and all are free to contribute photos related to mushrooms, mushroom culture, and our fungal pals in general. The best of the bunch will be selected for a special display at the festival and the winners will receive recognition and prizes from the CMS. The rules are simple, just send up to 3 digital photos to photocontest@cascademyco.org. In your email include your full name as you’d want it to appear next to your prize winning photo and any details you might want us to know about the photo and what it means to you. Note that we greatly prefer digital files but if you have a picture that you must submit and don’t have in digital form, you can send us an email and we’ll try to help with other arrangements. Please send pictures as JPG files at full resolution, so that prints of the images look their best. The photos need to be in by Oct 24th so they can be judged before the show. By sending us your pictures, you grant the CMS a license to use your photo for contest purposes and to display your photo at the festival and at later dates in CMS communications including this website. If your image is used for CMS communication, you will be credited as the photographer.